You’ve probably heard of STEM: science, technology and maths. But have you heard of STEAM? Well, it’s what happens when STEM teams up with art and design. Cool innovation! Maximum impact! 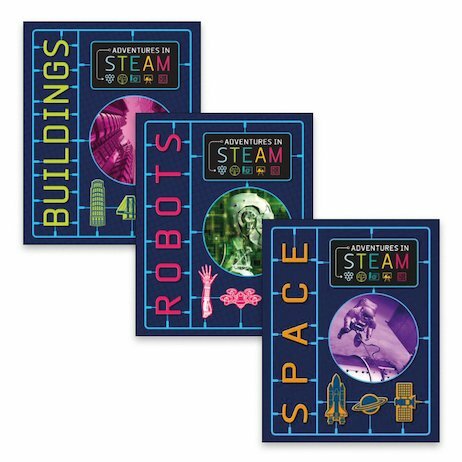 Find out more in this fun-filled look at three exciting topics where STEAM really comes to the fore. How do rockets overcome gravity to blast off into space? How do electronic signals help a robot to ‘think’? And why do architects and engineers work together to design buildings? Get all the answers – and discover lots of fun projects to try!